Kyoto’s hotels and ryokan can be fully booked in March, April, May, October and November. But don’t give up if you can’t find a room in Kyoto! 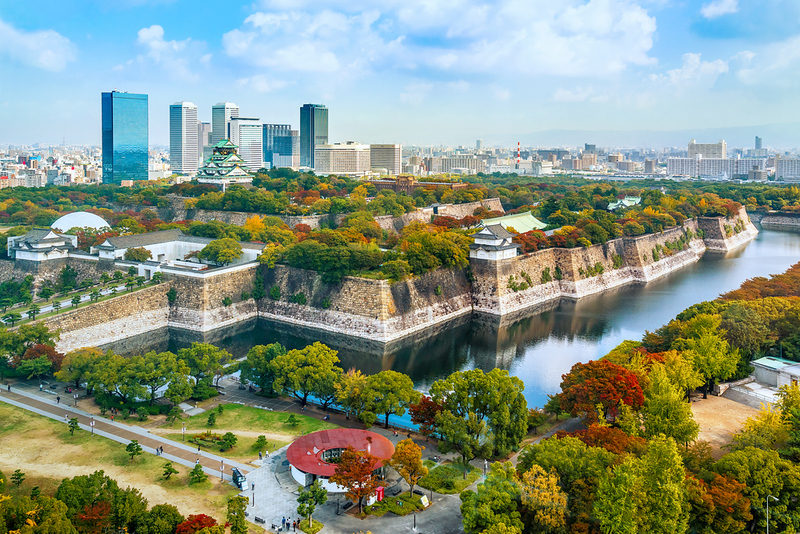 You can stay nearby in Osaka, Otsu, Nara or even Nagoya. On this page, I describe each city and recommend some convenient hotels. The most beautiful times of year in Kyoto are the spring cherry blossom season (March/April) and the fall foliage season (October/November). 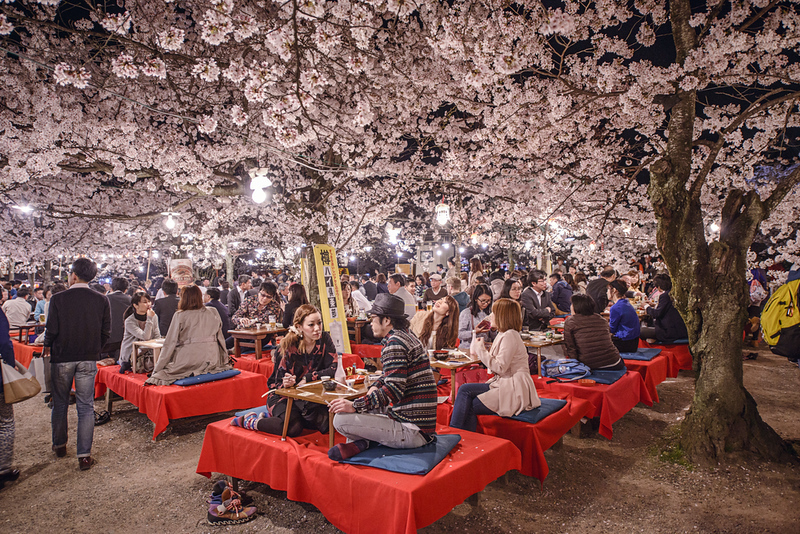 For details on cherry blossoms in Kyoto, see our full Kyoto Cherry Blossom Guide. For details on fall foliage in Kyoto, see our full Kyoto Foliage Guide. Unfortunately, there just aren’t enough hotel and ryokan rooms in the city to keep up with the demand during these busy seasons. Thus, if you’ve left things too late, you might find it impossible to find a room in Kyoto. If this happens, rather than cancel your trip, consider staying in one of the following cities. Osaka is only 11 minutes from Kyoto by shinkansen (bullet train) and about 45 minutes by normal express trains. Osaka is packed with hotels in all price ranges. Osaka is the best place to stay if Kyoto is fully booked. Shin-Osaka Station (Osaka’s shinkansen station) is 11 minutes from Kyoto by bullet train. There are several hotels right at Shin-Osaka (see my companion website InsideOsaka.com for more details). Otherwise, you can hop on the Midosuji Subway Line and access hotels in downtown Osaka very easily. 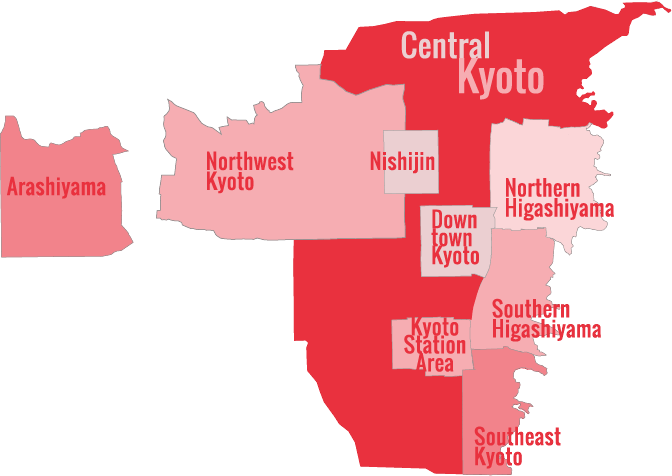 In addition to the shinkansen, Osaka is linked to Kyoto by regular express trains that run between downtown Osaka and Kyoto. The JR Line runs between Osaka Station and Kyoto Station; the Hankyu Line runs between Umeda Station in downtown Osaka and Kawaramachi and Karasuma Station in downtown Kyoto; and the Keihan Line runs between Yodobashi Station in downtown Osaka and stations along the Kamo-gawa River in Kyoto (Sanjo and Shijo stations, etc). Right at Osaka Station for easy travel to Kyoto. Right at Shin-Osaka Station for lightning-fast access to Kyoto. Very close to Shin-Osaka Station for easy access to Kyoto. For more suggestions about Osaka accommodation, see my Where To Stay In Osaka page. About 9km east of Kyoto, the small city of Otsu is conveniently connected to Kyoto by two train lines: the JR Line (good for JR Pass users) and the Keihan Keishin Line. The JR Line runs between Kyoto Station and Otsu Station in about 9 minutes. The Keihan Keishin Line runs between downtown Kyoto (Sanjo Keihan Station etc) and Hama-Otsu Station in about 19 minutes. 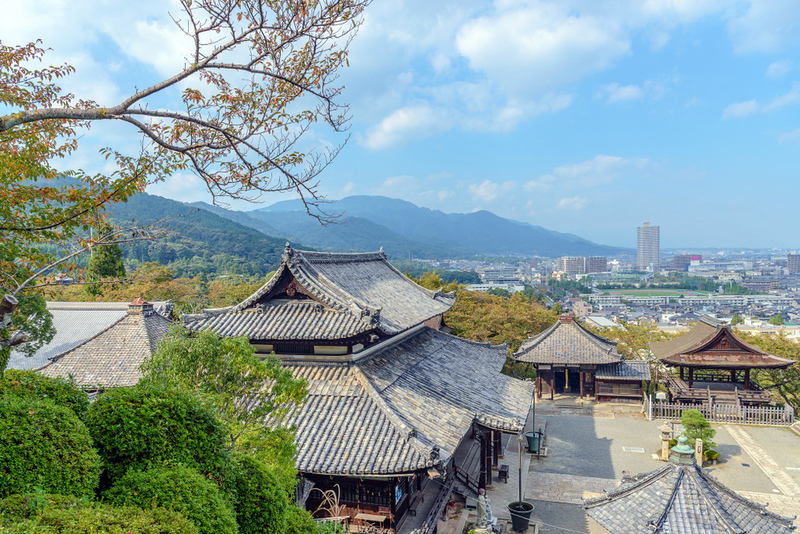 Otsu is a pleasant little city in Shiga Prefecture. There are some interesting attractions nearby and some decent shops and restaurants in and around the train stations. There’s not as much to see as in Nara or Osaka, but it’s very convenient to Kyoto. Overlooking Lake Biwako, Japan’s largest lake, and with a free shuttle to Otsu Station, this is another great choice. A couple of stops east of Otsu in Ishiyama, this is a decent choice if you get caught out. Nara is only 30 minutes from Kyoto by direct express train and it’s packed with first-rate attractions and some good restaurants. 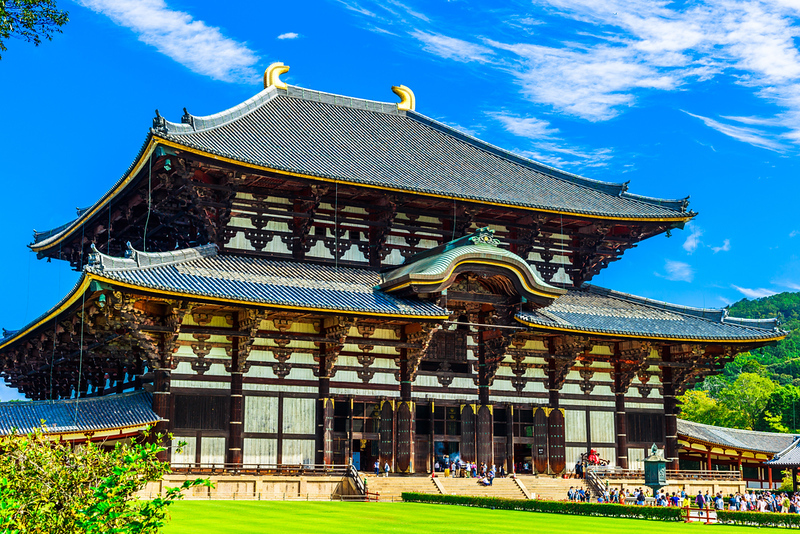 For the full details on Nara’s sights, places to eat, hotels and ryokan, in addition to full details on transport between Nara and Kyoto, see my Nara Travel Guide. Nagoya is 40 minutes from Kyoto by shinkansen (bullet train) and is a good place to be based when Kyoto is full. The area around Nagoya Station is crammed with hotels and restaurants. So, if you have a JR Pass and cannot find room in Kyoto or the above spots, don’t give up – give Nagoya a try! 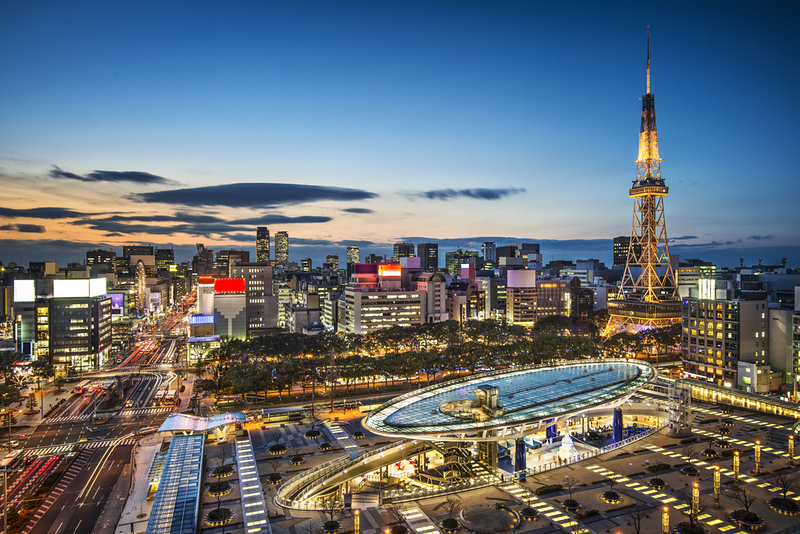 Like Osaka, Nagoya is a large Japanese city and an attraction in its own right. There are endless places to eat and shop and some decent sights to see. Thus, it would not be a problem to stay in Nagoya while exploring Kyoto. Of course, because the only way to get quickly from Nagoya to Kyoto is the shinkansen, you really need a JR Rail Pass to consider this option. Right at Nagoya Station, the Meitetsu Grand is a reasonably priced business hotel that would make a good choice for those exploring Kyoto while based in Nagoya. Built directly above Nagoya Station, the Nagoya Marriot is a first-class hotel with a super position for easy access to the shinkansen and Kyoto. A very short walk from Nagoya Station, the Daiwa Roynet is a clean and well-run business hotel with rates cheaper than the two choices above.